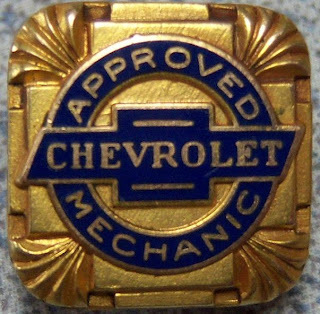 In 1939 General Motors issued a special Chevrolet Approved Mechanic pin. It is a gold filled enameled beauty. This 1939 Chevrolet Approved pin is quite small in size but is quite attractive when worn on your lapel.